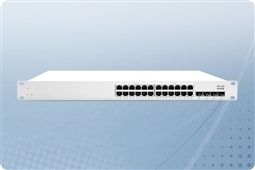 Cisco Meraki MS225 Series Switches are made for flexibility of connectivity deployment, perfect for small to medium size businesses seeking an office or branch deployment! These MS225 Layer 2 switches come standard with stacking capabilities and 10GbE SFP+ uplinks delivering Enterprise level connectivity for a budget friend price. Also with the Enterprise Cloud Controller Management license Meraki MS225 Series Switches are made for easy centralized management to give IT Administrators and Networking Engineers more depth to their visibility of their network and how it is being used. Key features include Brand and Campus Access, Application Layer Visibility, Network Security through administrative roles and policy management, and Network Troubleshooting as well as Automation to make deployments and management easy for the SMBs that depend on these Meraki Switching products! Aventis Systems bundles all of our Cisco Meraki MS225 Series Switches with a minimum 1 Year Enterprise Cloud Controller. In addition all Meraki MS225 Cloud Managed Switches come with a standard 1 Year Comprehensive Warranty with upgrades available to Extended and Express Warranties as well as Onsite Support. So shop below and bring the best in security product for ease of management, policy management, budget, and ease of deployment to your business with the Cisco Meraki MS225 Series Cloud Managed Switches! Want to learn more about how Meraki can help your business save on networking support costs? 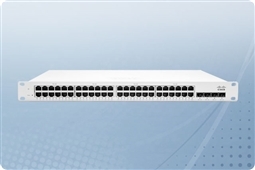 Check out our Product Review: Cisco Meraki Switches for SMBs today! Already own a Cisco Meraki Cloud Managed Networking product? Shop our complete line of Enterprise Support Options and keep your product covered!